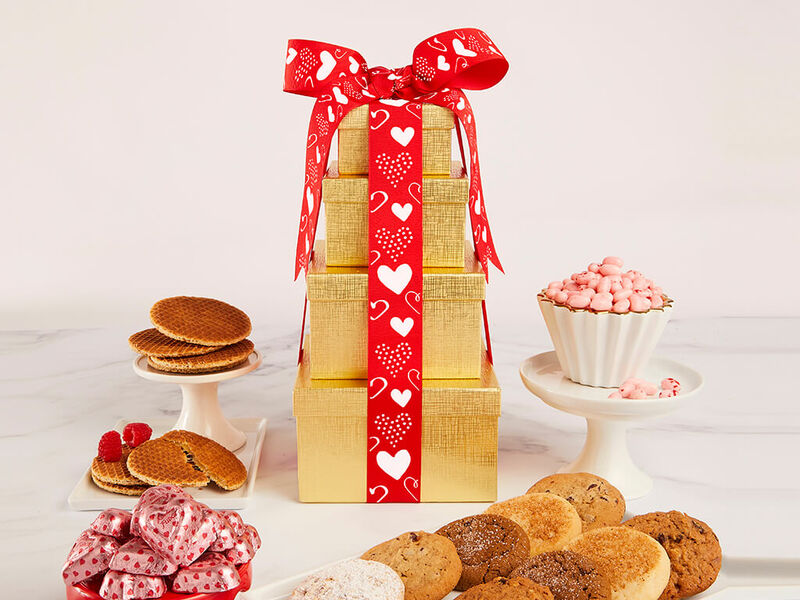 A stunning solid gold tower wrapped with an elegant Valentine's Day ribbon and filled with the finest in gourmet bakery treats! 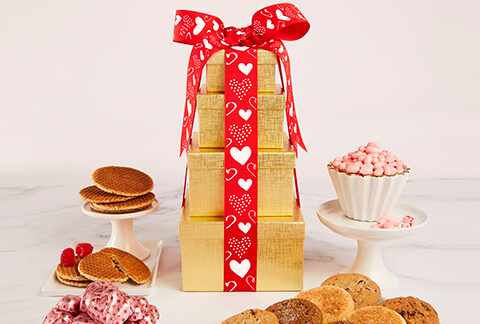 We include a 4-inch Heart Shaped Brownie Cake, One Dozen Gourmet Cookies in Chocolate Chip, Oatmeal Raisin, Snickerdoodle, Almond Butter, Lemon Sugar and Ginger Molasses, 3 chocolate chip blondies and 3 fudge brownie bites... and to top it off, 10 Hazelnut Chocolates in gold wrapping. 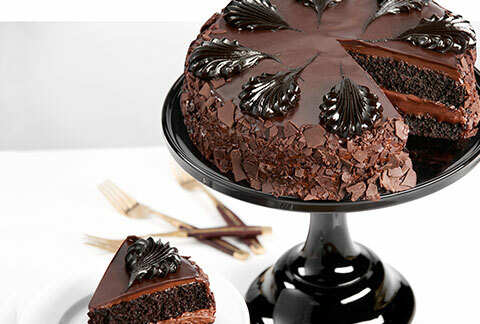 Includes a greeting card that you personalize online!